Singapore is all gaga this weekend with F1 travelling to Asia for a spectacular night race. Revenues expected as a result would not be higher than those gained a couple of years ago due to economic imbalance globally, but Singapore would make sure everybody gets their attention when they host the event starting with practice sessions on Friday, qualifying sessions today and the main race on Sunday. It doesn’t matter if one’s watching the telecast live on TV for a view of the glitzy, spectacular night lights, as the reflections would still be pretty clear on the pixelated screen. Narain Karthikeyan, as we know, has been given the nod for behind-the-wheel action at Singapore before participating in the race in Delhi at the Indian GP. Here are some of the excerpts about Narain’s F1 vision. When asked about his decision to enter F1 and the problems he faced raising money would be similar to aspiring F1 drivers in India currently, Narain answers he was lucky to have the BPCL and Tata Group supporting his entry into Formula One. He feels the situation for aspiring drivers now is much better as visibility and awareness regarding motorsport is changing that wasn’t the same when he was competing abroad and then making a move to F1. Narain feels business companies now know about Formula One racing, and this would make it easy for drivers aspiring to race in F1 to approach sponsors. When asked was it still going to be a very tough start for aspiring drivers, Narain says one can expect funding from sponsors only if one performs in the races. He says young drivers can get sponsors when racing abroad initially at entry level, but then performance counts and that has to be done quickly; if not, the driver wouldn’t have anything to show to the sponsors. When asked about the benefits of the Indian GP in October, Narain says racing all starts at fundamental levels and was far ahead from the glamour surrounding Formula One. He says there were some academies that aid in driver training, but feels it’s not enough. He feels with the F1 circuit in Delhi now, accessing things would be easier. He told the only race tracks for proper racing so far were in South, and in order to develop high-quality drivers, India needs racing tracks to be built with a purpose, racing machinery that’s modern and guidance professionally. Narain iterates if these were set up, then transforming oneself to racing internationally would be easier and not like when he had to drive the Formula Maruti, then to British F3, which he feels was a great step forward. When questioned about driver’s earning in F1 after funding issues were solved, Narain answers it all depended on one’s performance. He feels being fast would partly solve the problem saying one needs to be at the right place and time to really earn big money in Formula One. He tells in F1 the most talented drivers find it hard to make it and not even get a testing role as a driver as there weren’t many teams that had paid drivers. In a business model like F1, the midfield running teams and other teams behind them have their share of earnings directly coming from sponsors that sponsor the driver. Narain says moneymaking in F1 is possible if one is very patient and opportunistic in his approach and being too good a driver would be an added advantage. 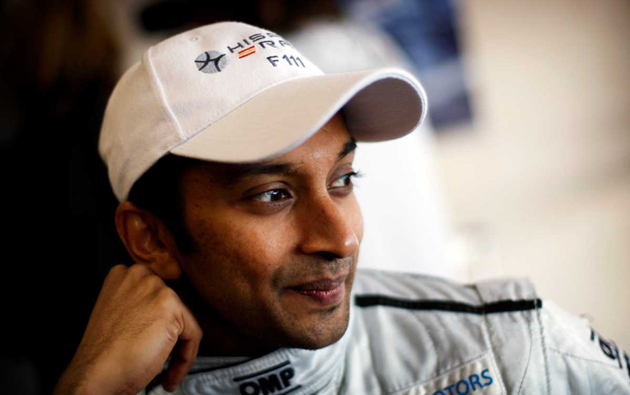 When questioned about the high money involved in F1 that can depress aspiring drivers to take up the sport and solutions to make it more accessible, Narain answers to be a part of F1 racing, infrastructure such as specialised equipment and a track built with a purpose in order to compete effectively should be done even at fundamental levels. Lastly, Narain says kids can get connected to F1 through karting, and once they get the grip on karting tracks and are competitive, then the skills would automatically relate to Formula One.